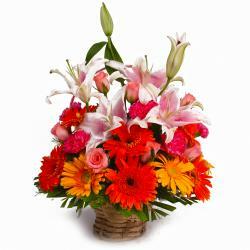 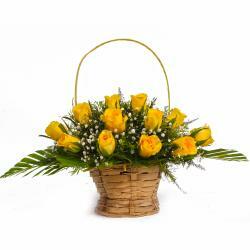 Product Consist : Round Basket of 15 Colorful Roses with white and green fillers. 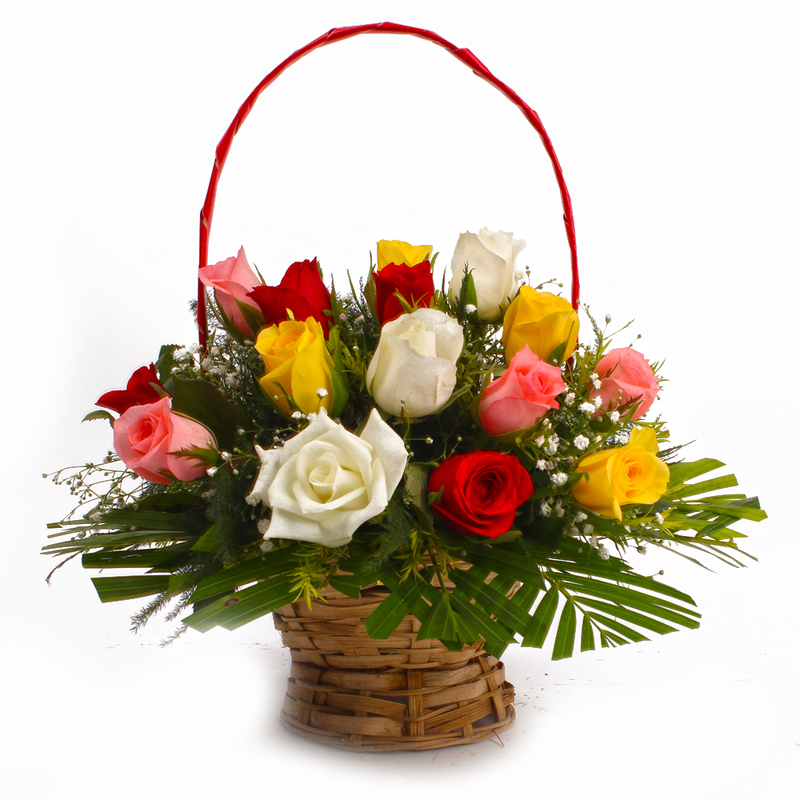 These fresh and gorgeous Roses are assembled from the preferred floral farms especially so that you can gift it to your beloved ones. 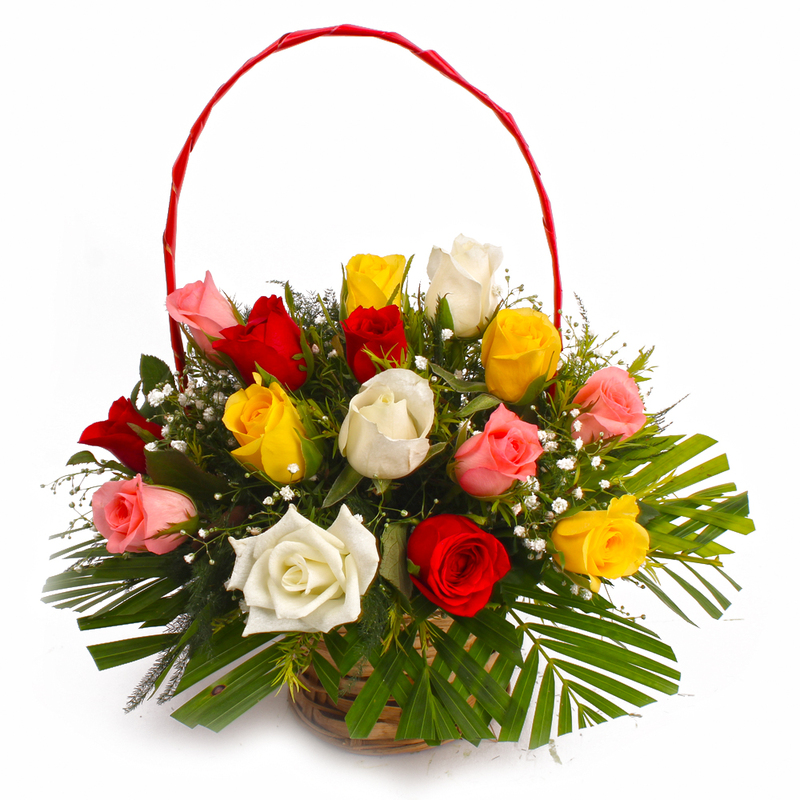 This arrangement of fifteen colorful roses with tiny white and green fillers which induces comfort, decency and love at first sight. 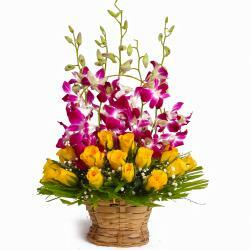 This special arrangement will be perfect for occasions like Birthday, Anniversary, Baisakhi, Dhanteras, Womens Day and the like. 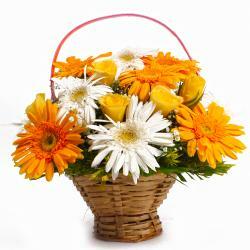 Product Contains : Round Basket of Fifteen Colorful Roses with white and green fillers.